Good Afternoon I’d like to request assistance for an initiative that is for the benefit of Mitchells Plain residents. I’ve included a recent press link below and drawn up a short spec of our Walmart programme for you. We would appreciate the exposure to increase our numbers in Mitchells Plain because we have unfortunately not received significant traction compared to our other regions nationally. 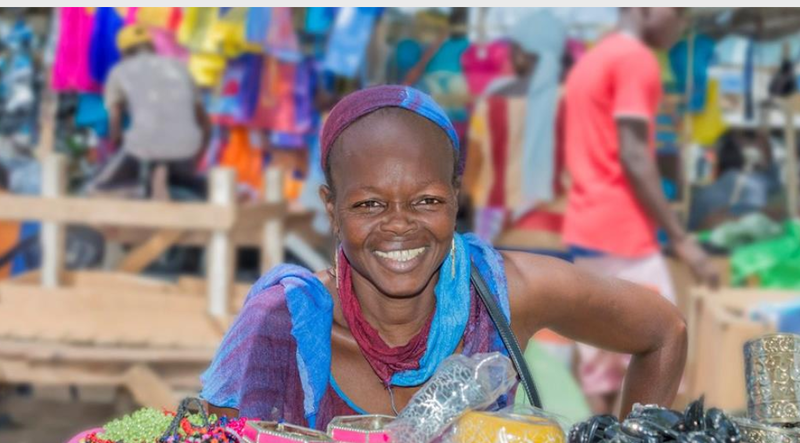 Press link: https://city-press.news24.com/Voices/informal-traders-are-plucky-hungry-and-hold-great-latent-economic-potential-20190220 We have an open call to entry for submissions from entrepreneurs for the GIBS #GrowYourBiz programme in collaboration with the Walmart Foundation. There are 60 scholarships available for entrepreneurs in the retail and Early Childhood Development Center (ECD) businesses in Umlazi, Motherwell, Mitchells Plain and Seshego. We would like to invite entrepreneurs that reside in Mitchells Plain particularly through your network. Applicants are welcome to apply here: https://www.research.net/r/Walm_GIBS_2019 Criteria for the programme: • Existing business. • Retail shops, spaza shops, restaurants, takeaways, hair and beauty salons, butcheries, general dealers, bakeries, caterers, early childhood development centres (ECD), health spas, internet cafes, nail bars and similar businesses. • Commitment to grow your business. The key aspects that readers need to know at the end of the editorial are listed below. These are the key messages: Key messages: • Overview Entrepreneurs and small business owners that have set up and are running retail-focused businesses in the stipulated areas of focus are invited to take part in the #GrowYourBiz Initiative. 60 scholarships are available. The scholarship opportunity means that there is no cost to the entrepreneur to attend this training which is sponsored by the Walmart Foundation and is offered by Gordon Institute of Business Science’s (GIBS) Entrepreneurship Development Academy (EDA). • Purpose of the programme This scholarship allows entrepreneurs with existing businesses with a retail focus to grow their personal confidence and business confidence. We believe that personal mastery and personal initiative are critical to business success and therefore this is a major focus of the programme. • GIBS EDA focus Our focus is on addressing the high failure rates of entrepreneurs in South Africa by supporting start-ups, micro enterprises and small business owners that are under constraint. The township businesses form an important priority sector. We have already supported many entrepreneurs in developing their township based businesses into more profitable and sustainable enterprises that contribute to the economy and to local economic development in SA. Queries can be directed to me at 011 771 4347 or mallickf@gibs.co.za Thanks for your time.